Ex-Cabinet minister Supa Mandiwanzira, pictured, - who is facing two counts of criminal abuse of office - has offered to surrender an additional property worth $100 000 as surety in a bid to convince the courts that he does not intend to abscond trial. The Nyanga South Zanu-PF MP is accused of corruptly engaging a South African company Megawatt to do consultancy work for NetOne and for appointing his unqualified personal assistant to the Postal and Telecommunications Regulatory Authority (Potraz) board. "If the court wants additional surety, my client is willing to surrender additional security of a value of not less than $100 000, which is equivalent to the surety he initially surrendered," Magwaliba said. He also said Mandiwanzira's business must not suffer "because he is facing criminal allegations." "Nyanga South Constituency is about 300km from Harare and in order to represent his constituency, he needs to travel there regularly. This stifles his work as he has to travel back to Harare just to report to the police," he said. Prosecutor Michael Chakandida opposed the application saying the State fears that Mandiwanzira will skip trial if bail conditions are varied. 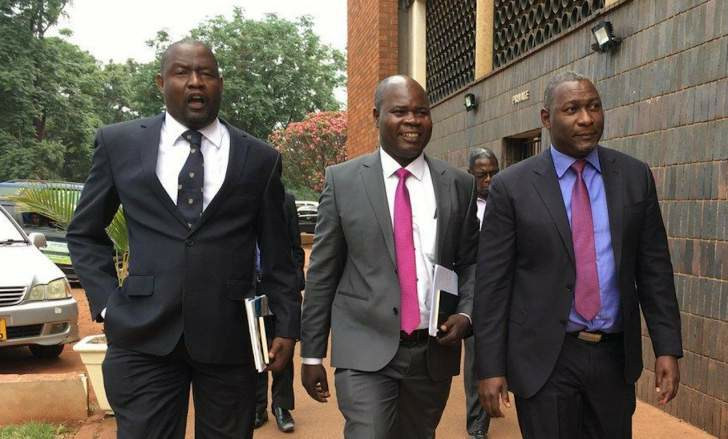 He drew parallels to the cases of other former Cabinet ministers Saviour Kasukuwere and Walter Mzembi who skipped the court's jurisdiction after the High Court dismissed their applications.